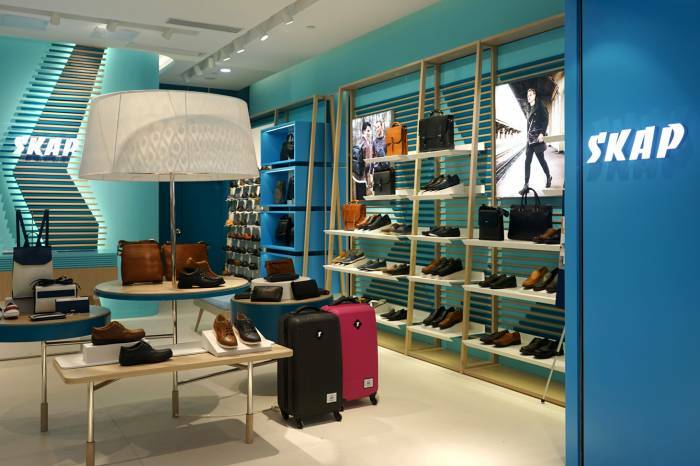 The brand's image is a lifestyle mixture of business and travelling. 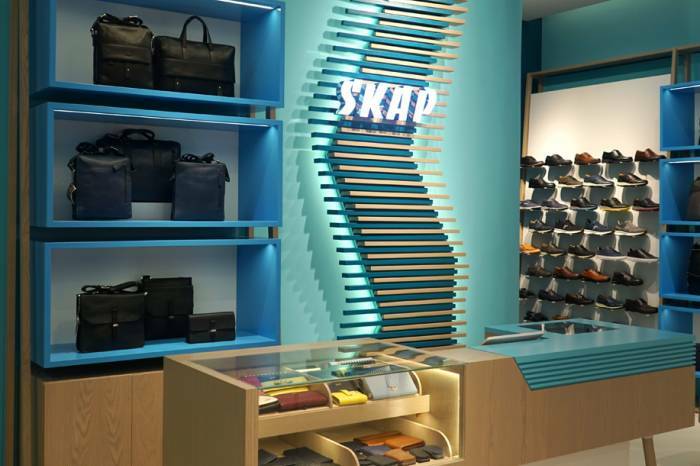 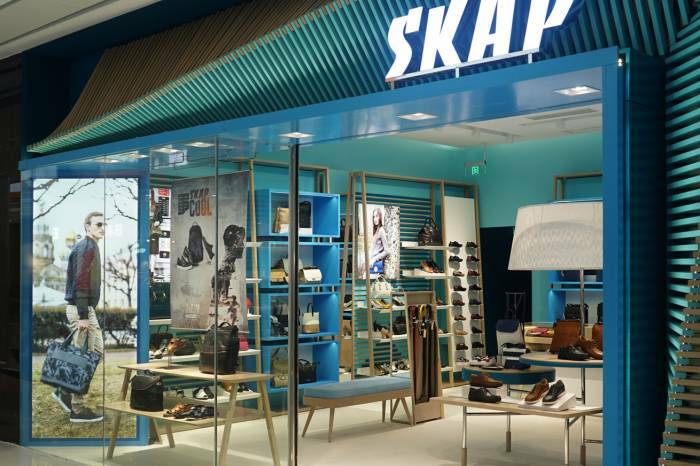 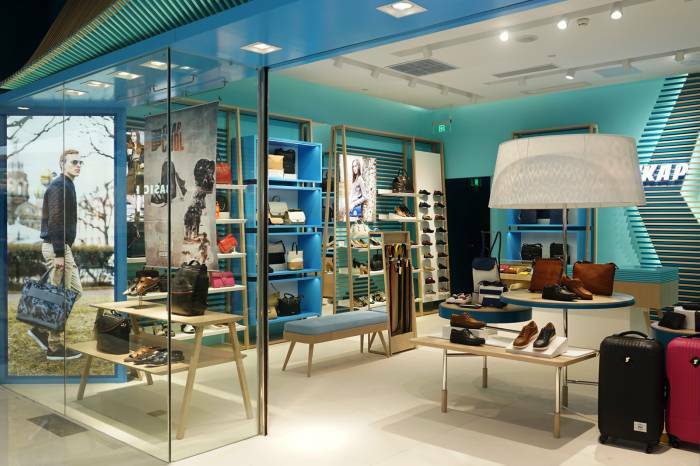 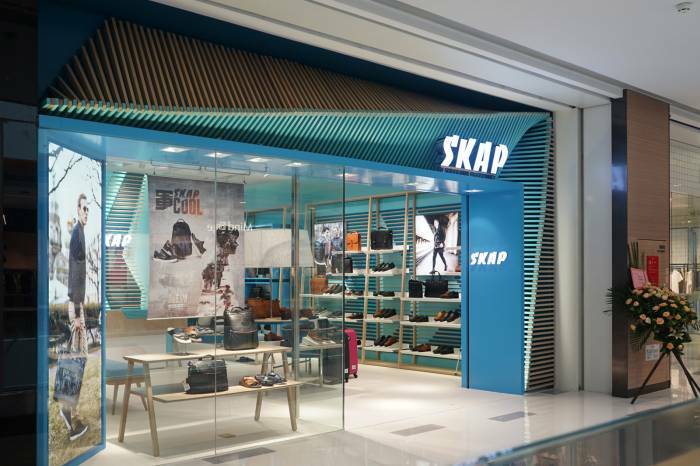 Our designer created this store with a blue tonal background representing sky and sea. 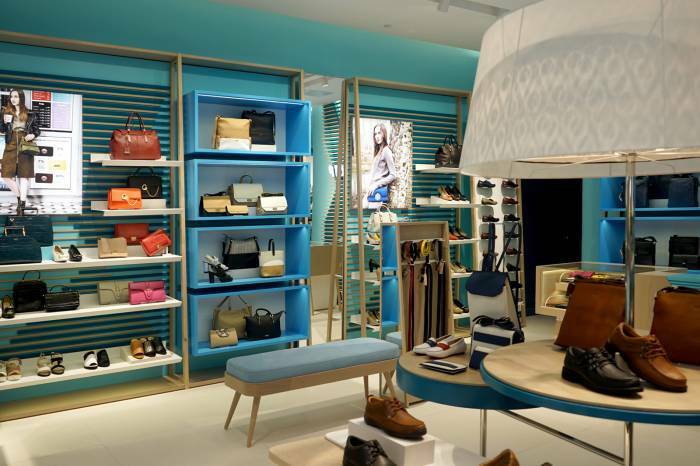 Products are well displayed through the flexible and stylish fixtures. 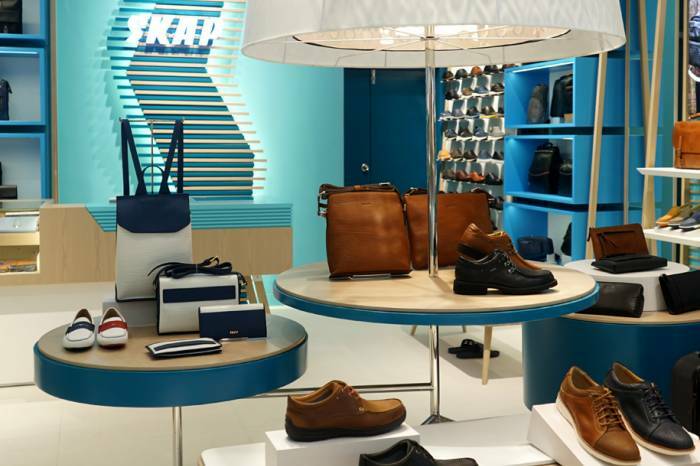 "Location Tag" was merged into the lamp shade and white display panel, it is a touch of nowadays travelling.